54 high-quality vector bread clip arts for free! Free download these bread clip arts and use them in your infographics. Bread is popular around the world and is one of the oldest artificial foods, having been of importance since the dawn of agriculture. Like other food cliparts, bread clipart is used extensively in fast food restaurant menus and flyers as well as food cards. Using fine bread cliparts can make your food design more eye-catching, thus attracting more customers. 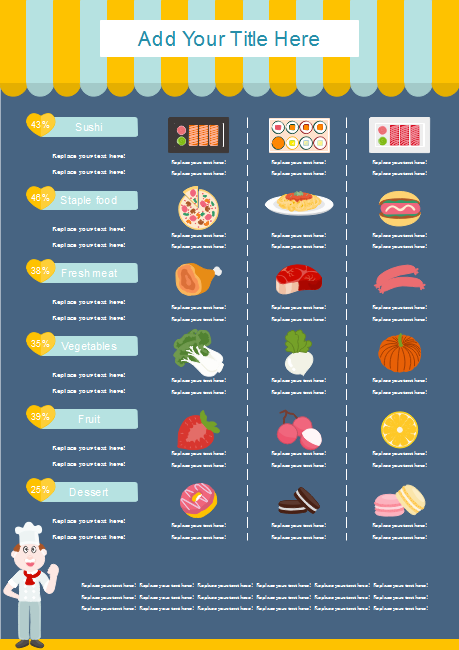 Edraw infographic provide users with various bread cliparts, including common bread, cake, bun, and role etc. Click on the picture as follow to download 45 high-quality vector cliparts. 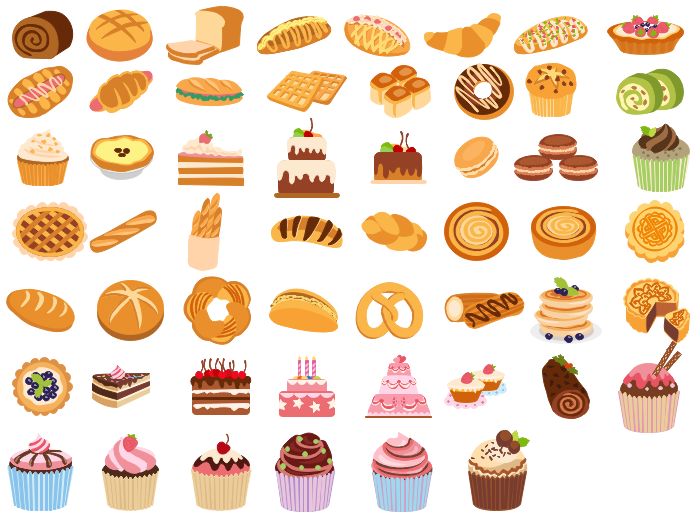 You can You can click on the picture to download these vector bread cliparts for free. 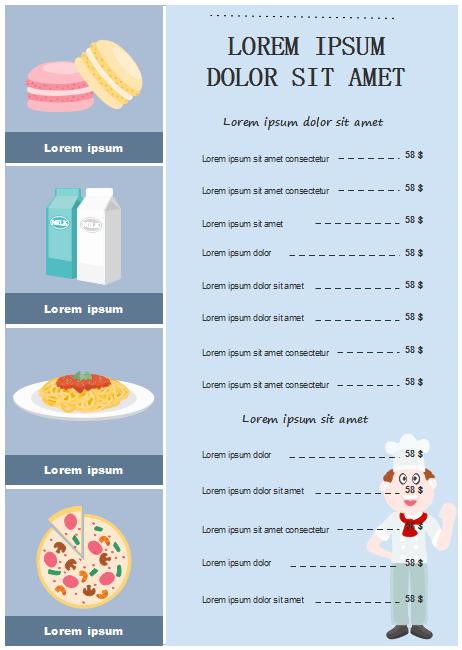 As has mentioned above, these built-in bread cliparts are vector-based and allow free customization. After drag-and-drop operation, you can change the color, size and content of these cliparts to meet your demand. 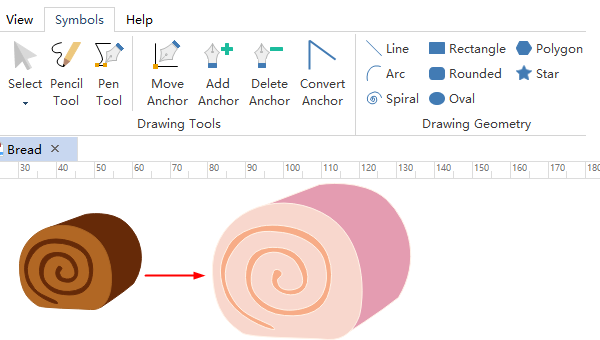 If you are good at drawing, you can go to Symbols tab and draw totally new bread cliparts with drawing tools and geometry operation. Here are some examples of bread cliparts application for business and educational use.Click on the picture to free download them and create your personalized bread cliparts.